Get ready for a new generation of lip stains. 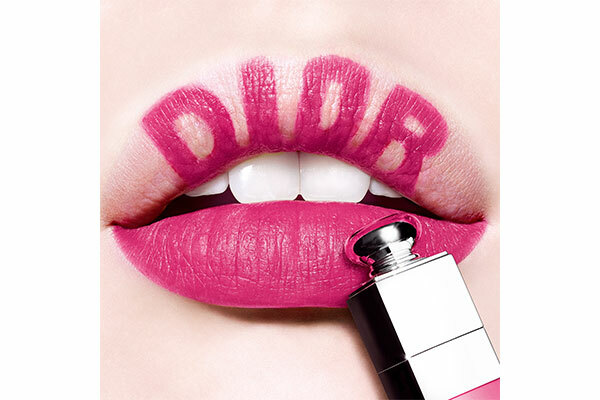 Dior is the first out of the gate with Dior Addict Lip Tattoo, a lip ink with a tattoo effect. 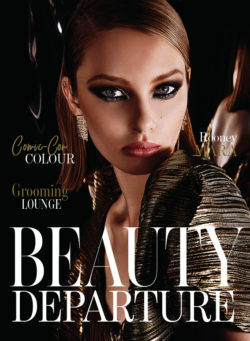 Here is an overview of the innovative beauty launch. Backstage trend: Peter Philips, Creative & Image Director for Dior Makeup works backstage during Paris Fashion Week experimented with lip inks and designed a tinted, ephemeral tattoo effect lip ink for Dior. 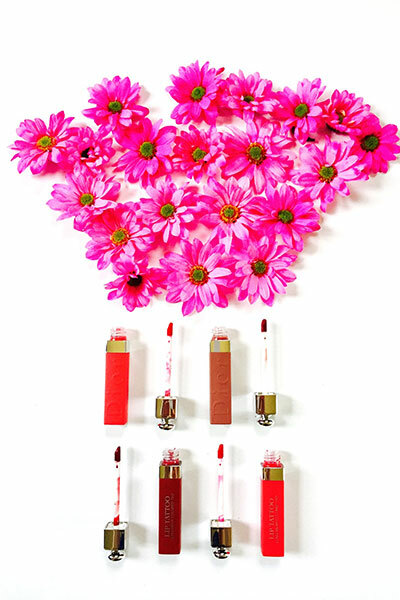 Long wear: The appeal of lip inks is the weightless texture and long wear colour. This new formula can last a full 10 hours. How it works: The tinted ink fuses with the lips transparently and lightly, boosting their natural colour weightlessly and with incredible comfort. It’s the first kissable, no-transfer ink. A few seconds after application, the formula sets on lips and doesn’t move. No makeup feel: This product is ideal for those who want weightless formulas with a no-makeup sensation. The science: a perfect balance of colorants and pigments as well as water and oil. 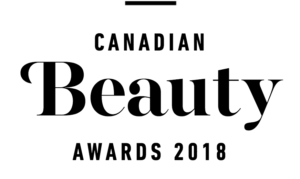 A few seconds after application, the water – which constitutes 50% of the formula – evaporates, leaving only the colour and a precise dose of the emollient agents. 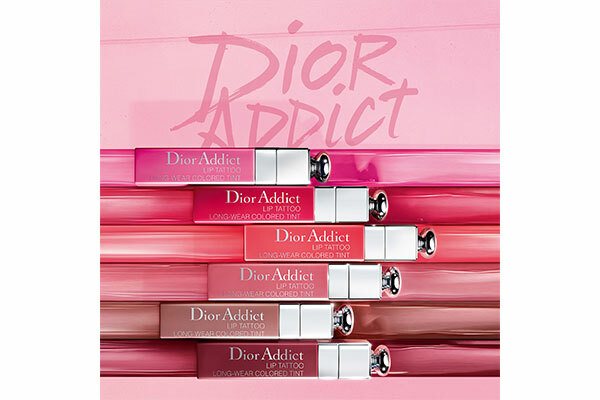 The Giveaway: I gave away this set of four Dior Addict Lip Tattoo products. To enter,I asked readers to tell me in a blog post comment below how they’d rate this launch on a scale of 1 to 10. Jess P from the U.K. told us and we drew her name from all entries. This launch is a 7 from me. 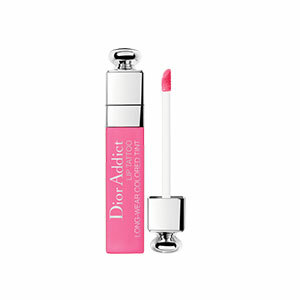 Dior could have been a bit more innovative, everyone seems to be releasing liquid lipsticks. 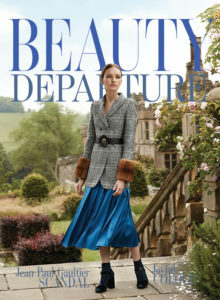 I think their target audience might not like this either? Who knows! I love the Natural Berry! 10!!!!! neat new way to try lipstick. Rate this a 10. Love all the colors.